Daily Strength plus Daily Protection. Plant sourced, organic, trace minerals missing in the equine diet for strength. Plus a Gentle Daily Detox to prevent serious illness. Always human grade, sourced only in the USA. Your secret weapon against common health problems. Full spectrum Micro Minerals provide a rich source of Phyto Nutrients to build strength where horses need it most. The little known Phyto Mineral; Silicon is the most important mineral for hoof, skin, coat, bones, joints, and endurance. Silicon has been depleted from our soils so none of us are getting enough in our modern diet. EnviroMin Horse gets its generous source of silicon from fresh water Phytoplankton. These microscopic plants have the perfect balance of 70 Micro Minerals. EnviroMin Horse gives you all the benefits but without the fillers and preservatives of most horse supplements. Every horse needs balanced, plant sourced, organic Micro Minerals for good health that shows from the inside out. EnviroMin Horse; Every Horse, Every Day. Click below to find out more. Toxin overload in horses can cause many common health problems. Horses are exposed to toxins from the environment, pesticides, herbicides, preservatives, and other contaminants in the diet. The skin, coat, and digestive tract, are the first areas to signal the need for detox. EnviroMin Horse supports a Gentle Daily Detox for a clean, healthy digestive tract. Click below to find out if your horse has any signs of Toxin Overload or Mineral Deficiency. Ideal for all Horses, Mules, Donkeys, Mini Horses, Senior Horses, Pregnant or Nursing Mares, Weak Horses, and Foals. Visit our Horse Blog for our "Foal Rescue Remedy", feeding tips, feeding suggestions for ill horses, and more. Essential minerals to strengthen plus a Gentle Daily Detox for protection. Organic, human grade, sourced only in USA. Replaces Products: Micro Minerals and Phyto Z Horse into an All-in-One new and improved formula. Comes in a re-usable 5 gallon pail with scoop. All-in-One new and improved formula. Comes in a re-usable 2 gallon pail with scoop. Save money, shipping costs. All the same great ingredients packed into an environmentally friendly box with a food grade liner to slip into your 5 gallon pail. Comes with feeding instructions and scoop. Shipped in large boxes with heavy duty food grade liner bags that fit into your 5 gallon pail. Follow us on Facebook for coupons, deals & discounts. Join us for Pinterest fun, health tips, discounts. 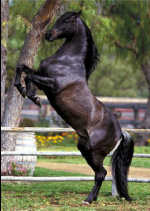 Is Your Horse a Star? 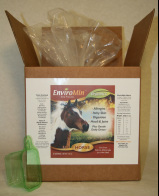 Send us a photo, if we use it on the website we will send you a Free EnviroMin Horse Small Pail! Send us a testimonial and a photo and we will send you a Free EnviroMin Refill Box! Phytolithic Silicon; from fresh water phytoplankton, 50 naturally occurring trace minerals, Zeolite; nature's best toxin magnet.